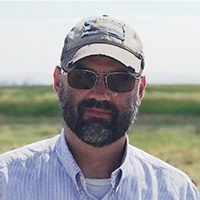 With over 15 years of experience in aerial remote sensing, Jason San Souci has delivered cutting-edge geospatial data and analysis to private industry and government agencies including defense intelligence, land use, homeland security, disaster management, renewable energy, law enforcement, agriculture, insurance and forestry. His work in hyperspectral imagery and aerial data collection has been broadly published in scientific and industry journals, and he holds patents for “Method and System for Processing Image Data from Unmanned Aerial Vehicles” and “Systems and Methods for Mapping Emerged Plants.” Through his work with GISCorps, he developed a hyperspectral sensor application that transformed disaster recovery operations, and he led a major reforestation initiative in Vietnam. Currently, San Souci is contributing to industry standards by developing a new certification test for geospatial professionals. 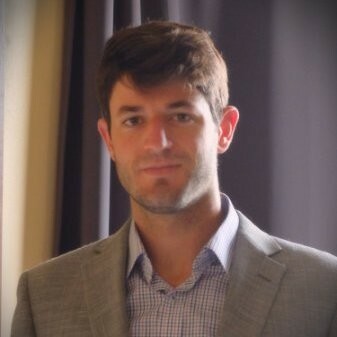 He joined PrecisionHawk in 2014. Today, San Souci leads a team of geospatial scientists and analysts in collecting and analyzing advanced sensor data for clients in a range of industries. San Souci pushes his team to deliver cutting edge data and geospatial applications to clients. Jamie Young has worked with LiDAR technology for over 20 years, managing everything from sensor and applications development to data acquisition and processing. His work leading top geospatial firms drove significant advancements in LiDAR technology development, density scanning and drone functions. Young holds leadership roles in ASPRS (American Society for Photogrammetry and Remote Sensing) and CO-MAPPS (Colorado State Chapter of the Management Association of Professional Photogrammetric Surveyors). He is also the technical advisor and contributing author for LiDAR Magazine, author of ‘LiDAR for Dummies’ and founder of the popular Wilder LiDAR blog. As Director of Data Services at PrecisionHawk, Young and his team are focused on achieving data resolution and accuracy, integrating datasets into existing client programs and developing specialized commercial LiDAR applications to meet client needs. Scott Hatcher is a geospatial scientist with experience in a broad range of remote sensing applications. Throughout his career, he has held a variety of research-based technician roles in academia and the public sector. As part of the Geological Survey of Canada team, he developed, coded and implemented a vulnerability and sensitivity index layer for the entire coast of Canada. As a Research Assistant for the Nunatsiavut Sustainable Communities Initiative, he worked with a team to integrate geospatial data with ongoing sustainability planning discussions in towns of northern Labrador. In his most recent position, he was part of a team investigating coastal foredune dynamics for the University of Otago. Hatcher is committed to participating in volunteer projects and sharing his geospatial expertise. Following Nepal’s 2015 earthquake, he volunteered to lead workshops on using the Humanitarian OpenStreetMap tools to help disaster relief efforts. 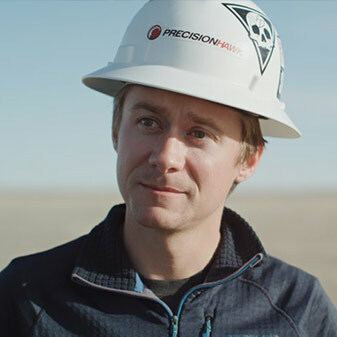 At PrecisionHawk, Hatcher is the technical lead for the Nova Scotia office. He works with large enterprise customers to integrate unmanned aerial vehicle technology into their business processes. Hatcher customizes solutions for clients, and often designs and implements proprietary algorithms to support specific projects. He also focuses on ensuring that algorithms work in a toolchain that meshes with a customer’s existing IT infrastructure. Matt Tomkins is an avid aviation enthusiast with a passion for unmanned aircraft. He holds a Remote Pilot Certificate and a Private Pilot Certificate from the Federal Aviation Administration. As Director of Flight Operations at PrecisionHawk, he oversees flight planning and logistics on behalf of enterprise clients. He also flies missions using drone-based advanced sensors to collect data for enterprise customers around the globe. 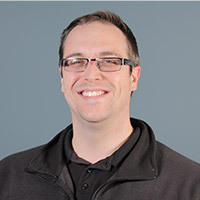 Previously, Matt was Aviation Manager at Juniper Unmanned, where he was responsible for all program compliance with state and federal regulations. He received a B.S. in Unmanned Aeronautical Science, Aeronautics/Aviation/Aerospace Science and Technology, General from the Metropolitan State University of Denver.